The Snowflakes from Penny Black's All is Bright transparent stampset were heat embossed using Gold Sparkle Embossing Powder. Lost & Found Christmas Paper by MME. Paper from My Little Shoebox & Prima Marketing. Spellbinders: Circles & Fleur De Lis, Ribbon, Glitter, and Pearls. 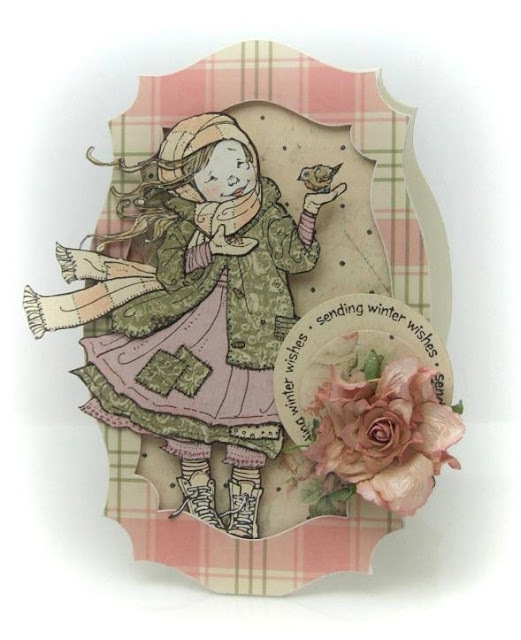 Here's another card made using a stamp from Penny Black's new collection, Winter Wonder. 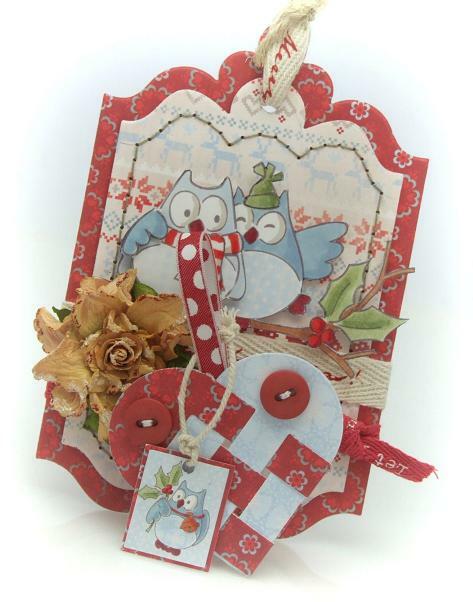 For today's card I have used Eline's new Christmas collection. 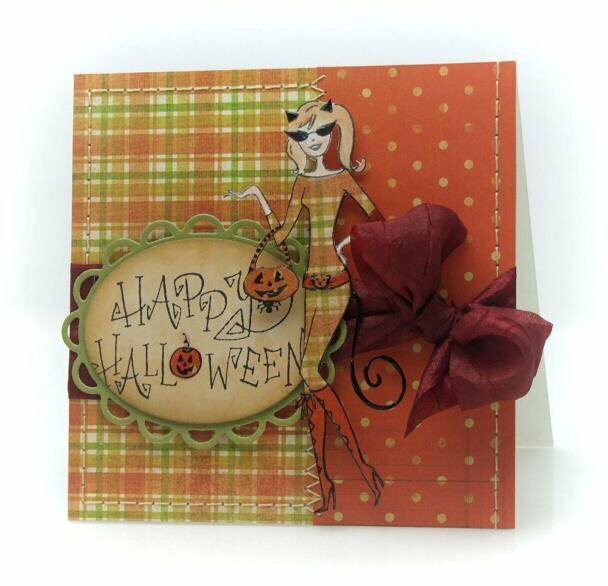 The October challenge on the Pretty Little Ribbon blog is to use Autumn colours on your card. Penny Black Stamps: Cat Spell.